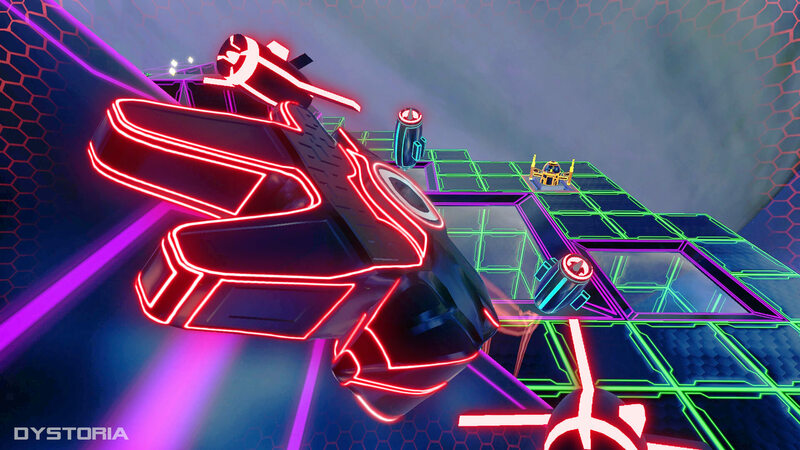 A six-axis space shooter with an 80’s arcade vibe. DYSTORIA is a diabolical zero-g space labyrinth in which you are trapped as an experiment. 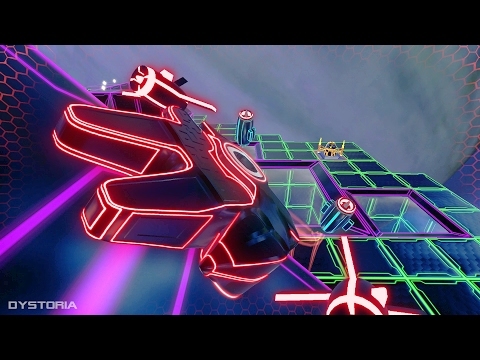 DYSTORIA combines a unique style of 6-axis gameplay with action packed space battles, stunning visuals and mind-bending level design all backed by an original 80’s style synthwave soundtrack. In DYSTORIA your ship hovers along any surface in any direction. As the player navigates each sector they may find that what seems like a simple navigation can be quite complex as their orientation changes with every turn. Delve into an intriguing Sci-Fi story, ripped right from the 80's, as you discover why you were taken and what was up with that whole arcade abduction. As a way to bring home total immersion, the story is the perfect complement to truly capture the future Arcade experience of the past. Choose from a inventory of 9 ships, purchasable with Salvage collected from your enemies destruction. 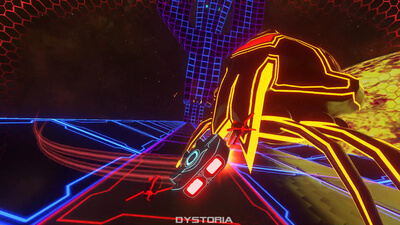 If you like your games dripping with 80’s arcade charm then Dystoria will be a good investment. Dystoria is one of those games that you just know may go on to achieve cult status. It's certainly not without merit, but it stumbles a bit in its execution of an otherwise promising concept. If we ever get a sequel — and I hope we do — that game could be something truly special. If you're fine with the game's limited scope in a few areas, Dystoria can be a fun experience. There's some brief disorientation due to the ability to stick to all surfaces and the camera closely following you, but it nicely complements the puzzle aspect of the game. 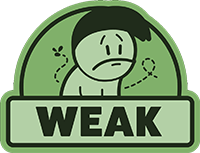 The enemy count is very limited, but combat is fine once you start using the environment and angles to your advantage. The game's short nature is fine, as it ensures that the '80s-style presentation doesn't wear thin, but the game certainly could have used more variety in the end-level goals. Dystoria may not be extraordinary, but it is worth checking out if you want something that's a little different.